What’s this spacecraft-like development pictured above? 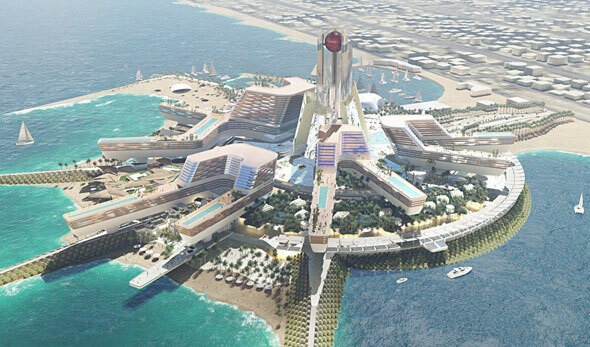 Well, only an MGM-operated hotel and entertainment district that’s set to be built right on the beachfront in Umm Suqeim. MGM, you ask? Yes, that is the same MGM that operates Las Vegas’ Bellagio Hotel – and there will be a Bellagio Hotel in the Dubai development. Well, the exact location hasn’t yet been confirmed, but we do know it will be near the Burj Al Arab, and so a very likely spot would be the unused circular patch of sand to the north of Umm Suqeim Park. The development will also be home to a state-of-the-art theatre. This site was originally set aside for a Mandarin Oriental hotel, so it looks like that’s not happening any more. 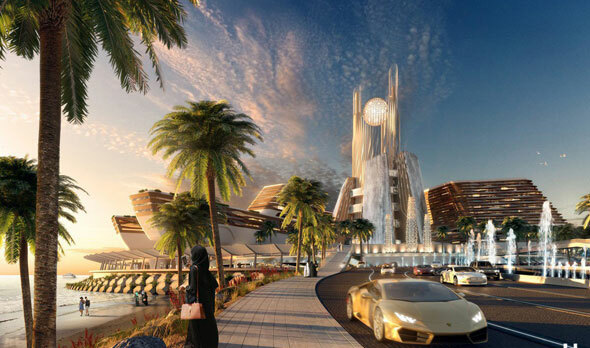 The project will spread over 26 acres, and will also include a theatre, an MGM Hotel, an MGM Residences, a beach club and plenty of restaurants. There will be a corniche too. 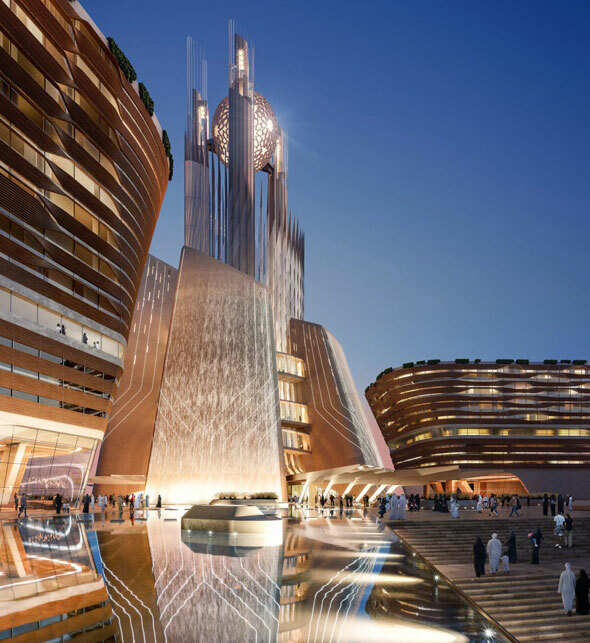 There will also be a 110-metre-high tower that will act as a visual anchor for the development, and from which 300 people can watch a sound and light show. There will be ‘adventure zones’ and ‘adventure caves’ for children, with these activities designed to help keep kids in the UAE active. Overall, the new development will add 1,000 new hotel rooms and residences to Dubai. 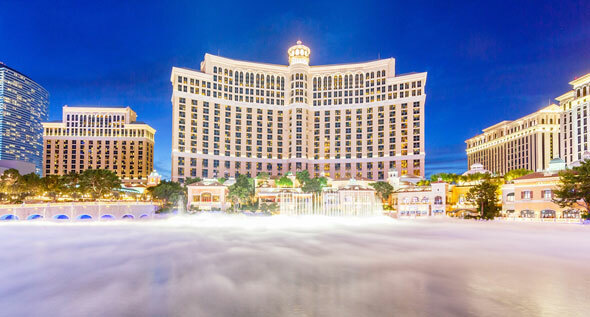 Here’s what the Bellagio in Las Vegas looks like. 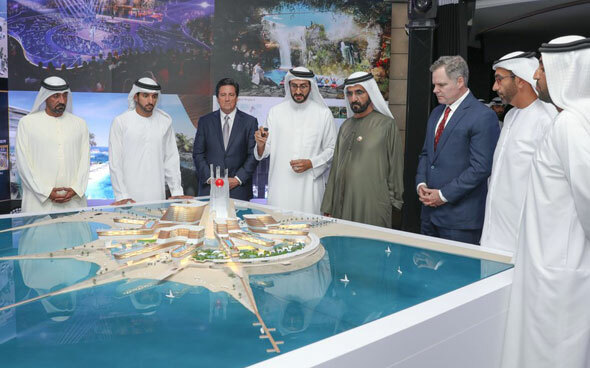 Sheikh Mohammed inspects the development. Well, construction is slated to begin later this year, and it will take four years – so we will be dining in the Bellagio by 2021 (at least that’s something to look forward to post-Expo). Work on the project is scheduled to begin in the third quarter of 2017 an it is expected to take four years.